Yes love me! LOVE ME!!! Greg Jennings made Packer history yesterday. After receiving a 17 yard touchdown pass from Aaron Rodgers, Jennings spiked the ball and did no ordinary Lambeau Leap: he jumped straight into the 9th row making him the Lambeau Leap champion. Jennings, 28, is quickly looking like the greatest receiver in Green Bay history. This record should only firm that belief. 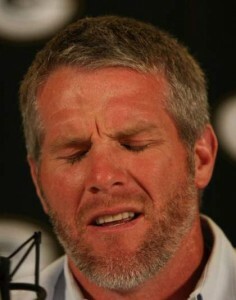 Brett Favre claimed interest in taking back his previous record of jumping to the 7th row, but seriously screw that guy. "Wha...? Holy crap I hope no one saw that." Green Bay Packers QB Aaron Rodgers took a quick power nap in a 30-23 victory over the Carolina Panthers. On a tense 3rd and 12 during the third quarter, Green Bay came out with a 5 receiver spread formation clearly signaling a pass play. As Rodgers called hike, the formidable offensive line held the modest pass rush with ease; the passers downfield were not so lucky as they were covered everywhere. The Super Bowl MVP continued to patiently drop back for so long he quickly set up an air mattress* and took a 5 minute power nap. Once awake, Rodgers made a 6 yard short pass to the running back. *Making sure his knee and elbows never touched the ground. "I'm sorry officer... Brett Who?" While the real Favre insists he is retired and Green Bay insists they have no need for another quarterback, security has been beefed up around the practice facility to keep the larger than life ex-QB out. Packers GM Ted Thompson encourages other teams to do the same. Alright, stab the virgins on 2. Ready? Break! Deadspin.com broke the initial story.